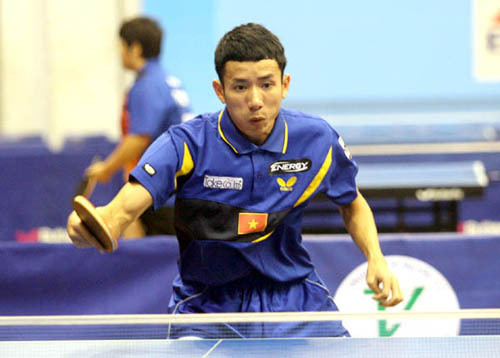 HA NOI (VNS) — Dinh Quang Linh and Mai Hoang My Trang won the men's and women's titles at the National Table Tennis Championships–Nhan Dan (People) Newspaper Cup. The tournament ended on September 13 in Can Tho Province. Linh came from behind to beat teammate Le Tien Dat 11-6, 12-10, 8-11, 11-8, 8-11, 6-11, 14-12 in the all-Military men's singles final match. Dat was defeated for the second consecutive year, to become the silver medallist. On the women's side, Trang of Petrosetco HCM City beat Dinh Thi Hang of Vicem Hai Duong 11-3, 11-7, 11-6, 11-7. The men's team title went to Military, while Trang and her teammates won in the women's category. 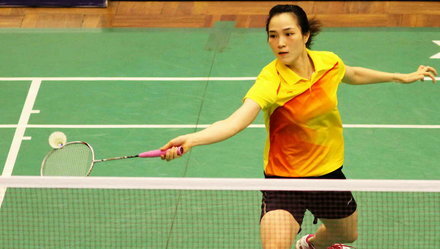 It was Trang's third gold medal as she, paired with Le Dinh Duy in the mixed doubles, had earlier defeated defending champions Dao Duy Hoang of Phan Hoang Tuong Giang of the public security ministry.